The first major group of novels written by Native Americans have become the classics of a period called the "American Indian Literary Renaissance." These include "House Made of Dawn" by Scott Momaday, Kiowa/Cherokee and Blackfoot James Welch's "Winter in the Blood." 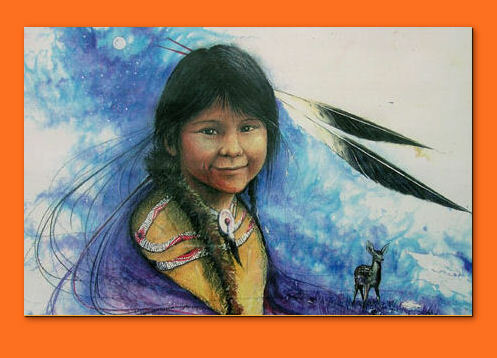 In the heart of the House Made of Dawn, N. Scott Momaday wrote, "A child can listen and learn. The word is sacred to a child." Everyone was once a child, and Momaday continually looks to his childhood as the foundation of his life. Within his work, he accords children the respect they deserve and explains the significance of the word which he came to understand as a child: "My grandmother was a storyteller; she knew her way around words." From the elders children learned the power and magic of words, and the children were to listen and learn, not with careless attention but with all their senses. The words of the old stories are not myths and fairy tales. They are a communion with the ancient dead--the Animal, Plant, and Earth Surface Peoples who once inhabited the world and whose spirits continue to influence the course of Native American history. When Momaday's grandmother told her stories, "something strange and good and powerful" took place, as he was drawn "directly into the presence of her mind and spirit ... her wonder and delight." Through the stories Momaday's grandmother invited him to accompany her "to the confrontation of something that was sacred and eternal." Copyright 2013 Native Literature. All rights reserved.